Thanks jawad for the news! Peshawar, 18 April, (Asiantribune.com): Air Chief Marshal Rao Qamar Suleman, Chief of the Air Staff, Pakistan Air Force, who is undertaking his inaugural visits to various PAF Bases after assuming the command of Pakistan Air Force, visited PAF Base, Peshawar on Friday. On his arrival at the Base, he was presented with guard of honor. He also reviewed the parade presented by the base personnel. Addressing the Airmen, Air Chief said, "The first ever Fighter Squadron of JF-17 Thunder aircraft will be raised and stationed at Pakistan Air Force Base, Peshawar. 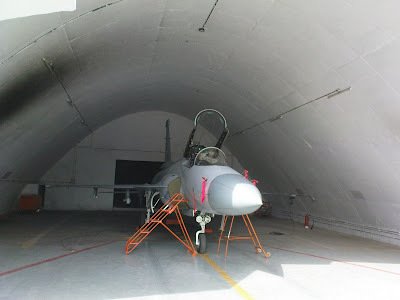 By the end of year 2009, full strength of JF-17 Thunder aircraft squadron, which will also be the first ever squadron in the world, will be operational at PAF Base, Peshawar". While addressing a joint session of Airmen, the Air Chief said, "The cardinal points of my vision are Integrity, Professional Excellence and Teamwork. The top most priority will remain operational preparedness of PAF. Today, the PAF is passing through transit phase, we will be handling and operating old and new weapon systems of various capabilities, you are required to maintain these assets for their optimum performance. The induction of new systems program is on track. These systems will requiring knowledge based training, thus my focus will be on modern training techniques and no flight safety. All measures and quality assurance procedures must be adopted for preserving the assets of PAF". While talking to the pilots, the Air Chief said, "you are cutting edge of PAF and nation pins high hopes on you to defend, deliver and sacrifice and keep up the glorious traditions of PAF air warriors". He emphasized upon them to maintain the highest level 4 of standards pertaining to various aspects of Air Operations. Whenever there has been a crisis in the past, PAF has always come up to the nation’s expectations and that’s why we are called "Pride of the Nation". Earlier, on his arrival at the Base, the Air Chief was received by Air Vice Marshal Sohail Gul Khan, Air Officer Commanding, Northern Air Command, Pakistan Air Force and Air Commodore Syed Razi Nawab, Base Commander PAF Base, Peshawar. Face of the new China. Home coming for BN F18 Osman and HTMS Takin. Social Realism is alive and well. So, this is what a land based HQ-16A looks like. Not all is quiet at the DPRK front. Decommission of PLAAF’s Su-27 has started.